The Farmtech transport boxes are manually operated with a tipping lever. Ideal for transporting muck, soil logs, hay, tools and much more around a small holding. 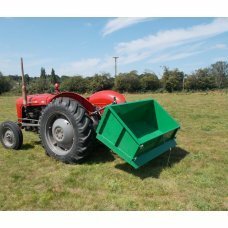 The simple removal of box sides and rear, with a front scoop that enables reversing into loose materials and mounds.